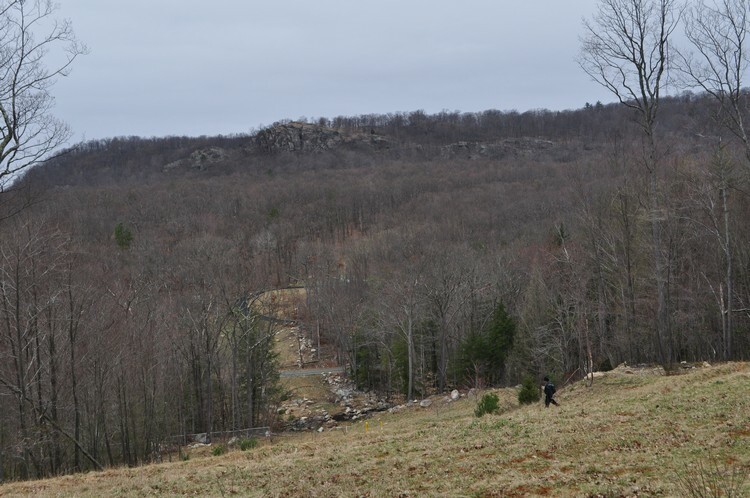 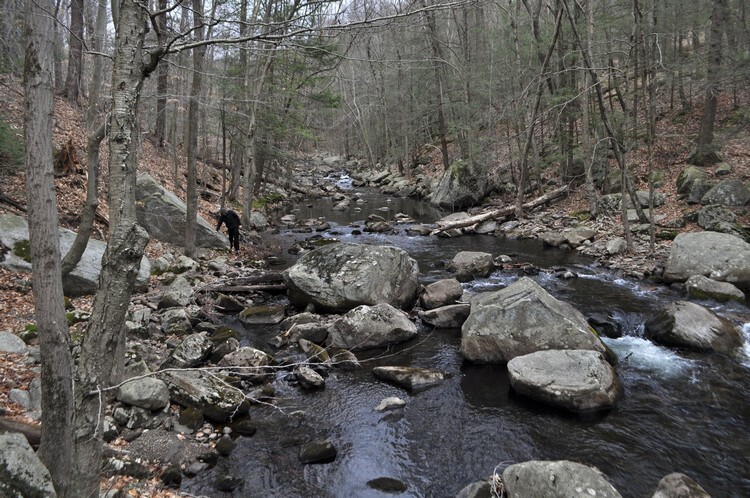 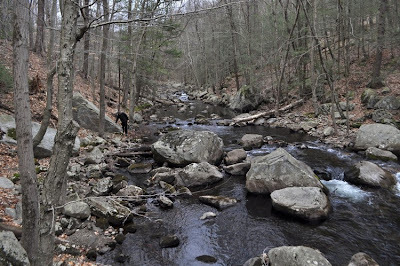 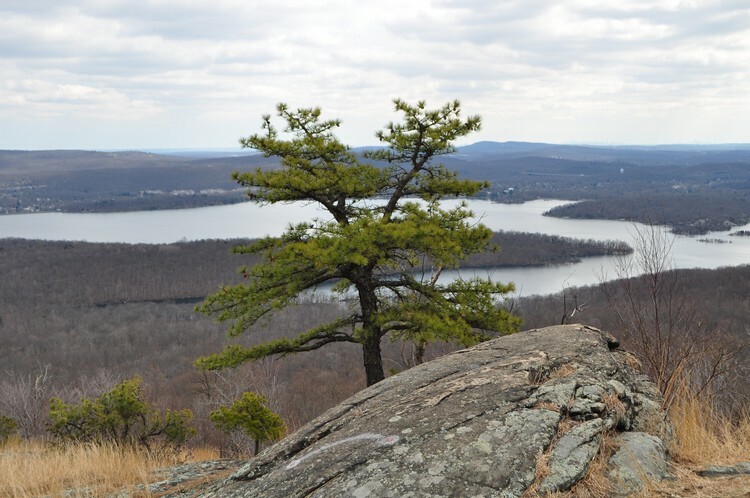 The Wyanokies are a small mountain range in northern New Jersey and are part of the Jersey Highlands. 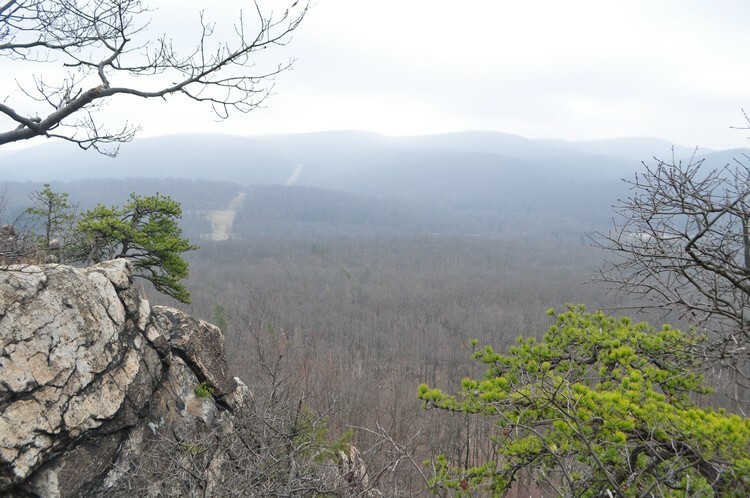 The most prominent mountain of this range is Wyanokie High Point, although it is not the highest. While the name is misleading since this mountain is just shy of a thousand feet, it nevertheless stands out above its surroundings and provides a very good climb. 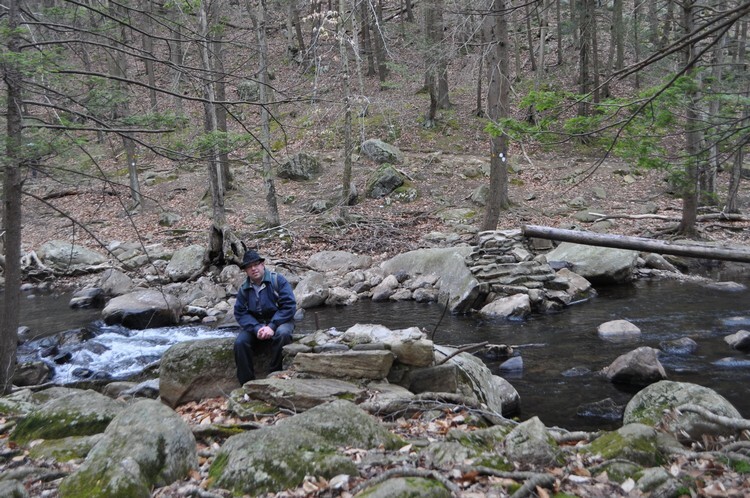 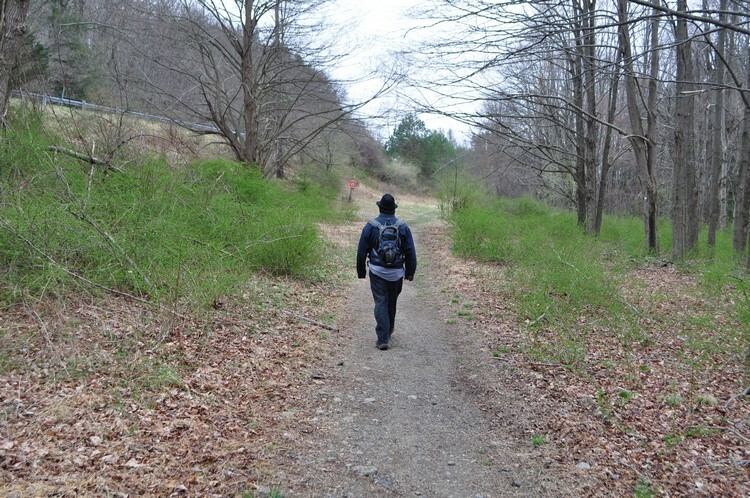 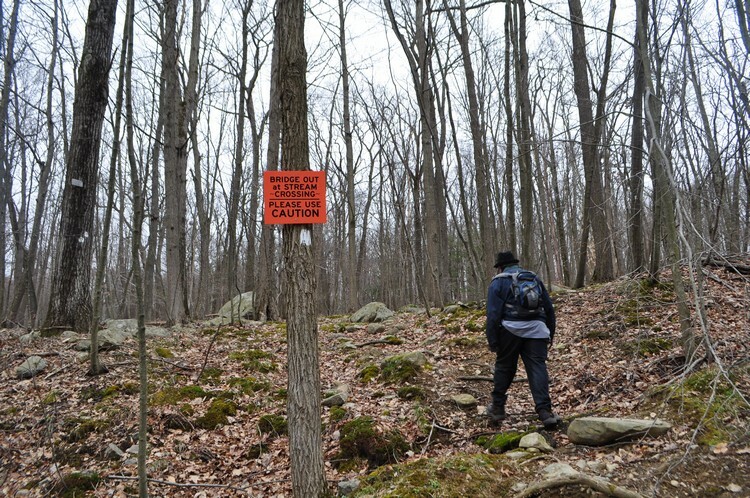 Despite my living in close proximity to this area, this was my first time ever hiking in the Wyanokies. There is an abundance of trails in this area so I am sure I will return. 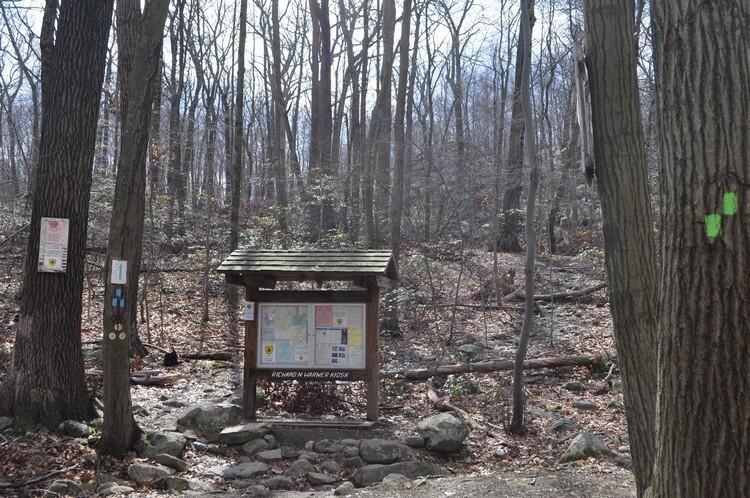 I parked in the Weis Ecological Center, which is the official trailhead parking. 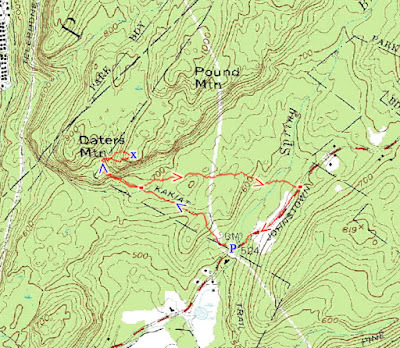 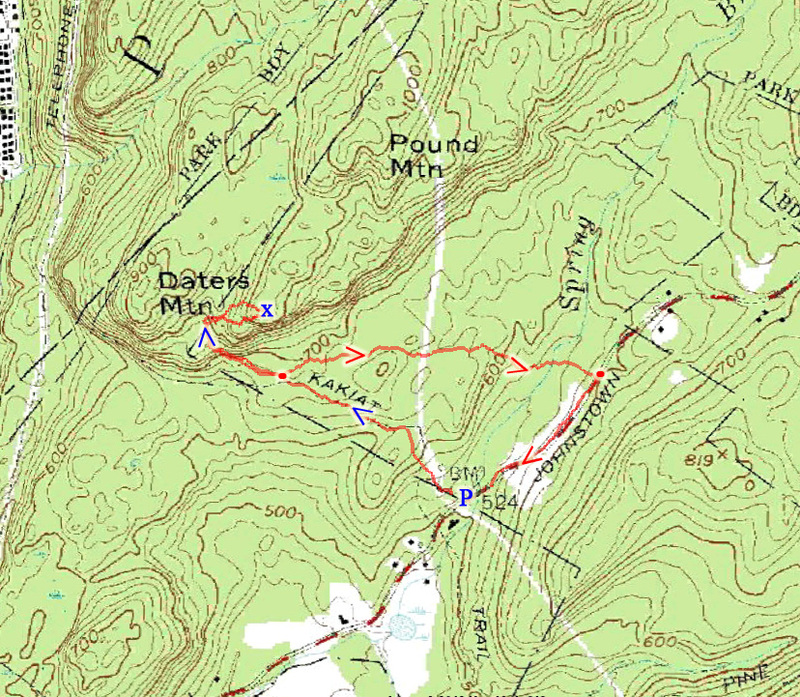 I took the Otter Hole Trail for a very short distance, walking past the natural pool, and then took the Hewitt-Butler Trail. 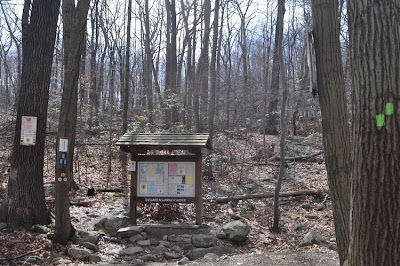 At this intersection there is a trail information guide that provides maps of the area. I was grateful for this since my 2002 edition of the Trail Conference North Jersey Trails was very much outdated. 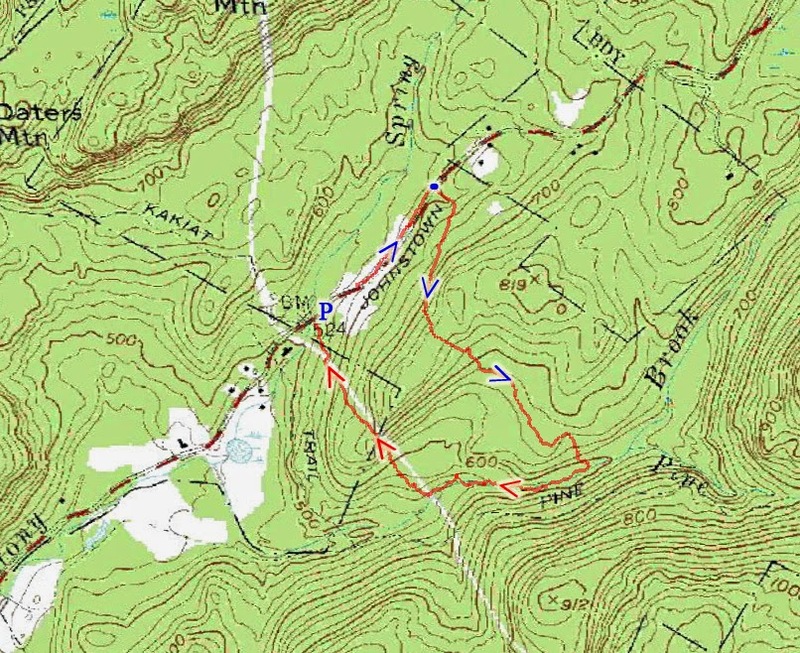 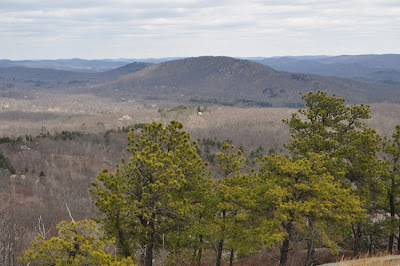 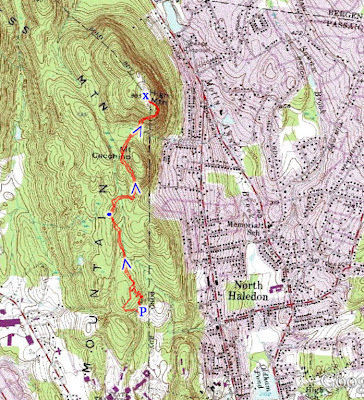 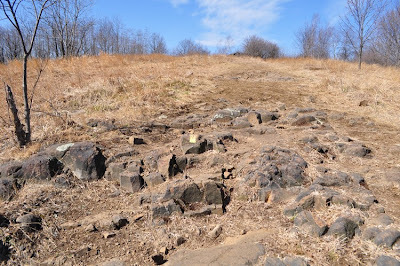 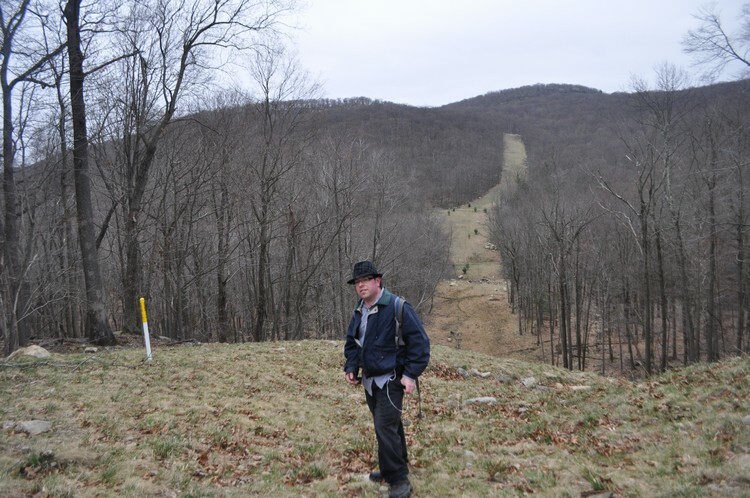 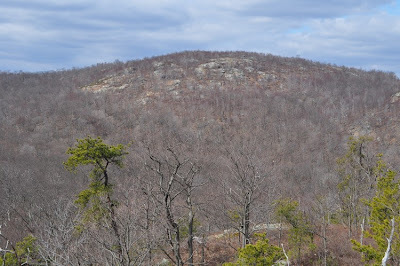 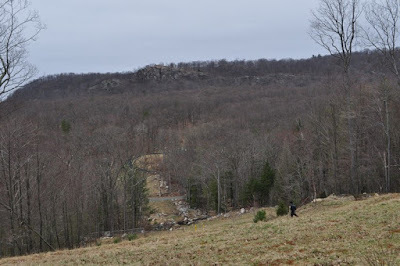 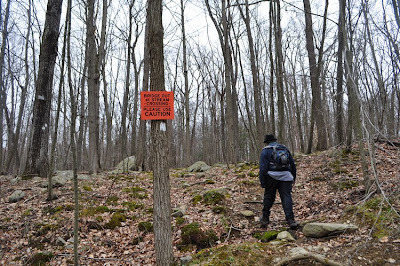 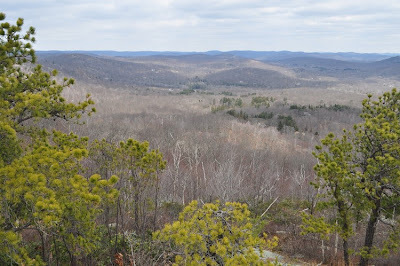 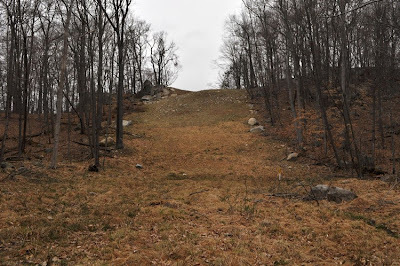 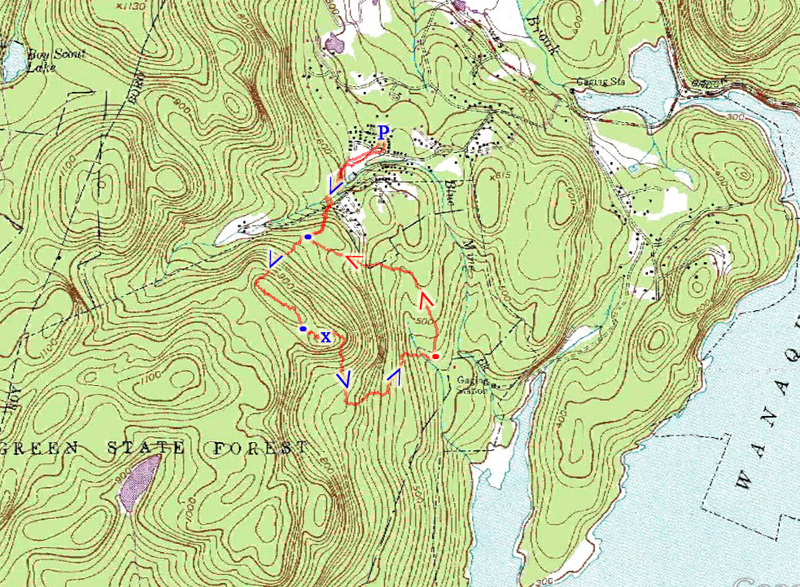 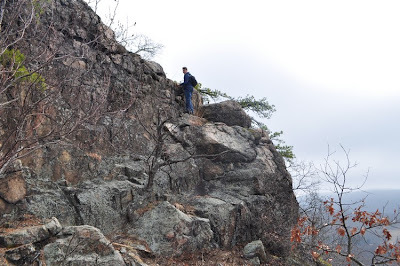 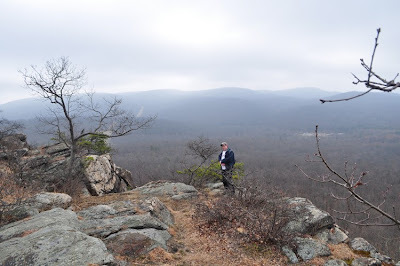 I climbed up the mountain on the Hewlitt-Butler Trail, and then veered off for the final ascent on the Wyanokie Circular Trail to the summit. 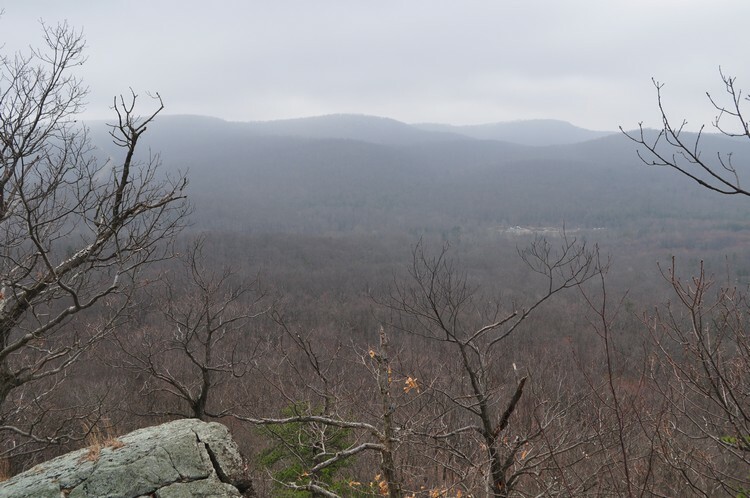 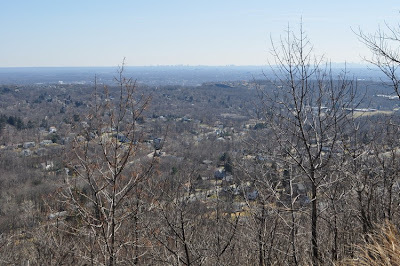 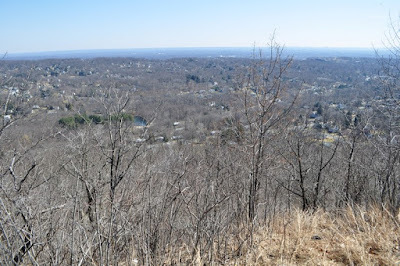 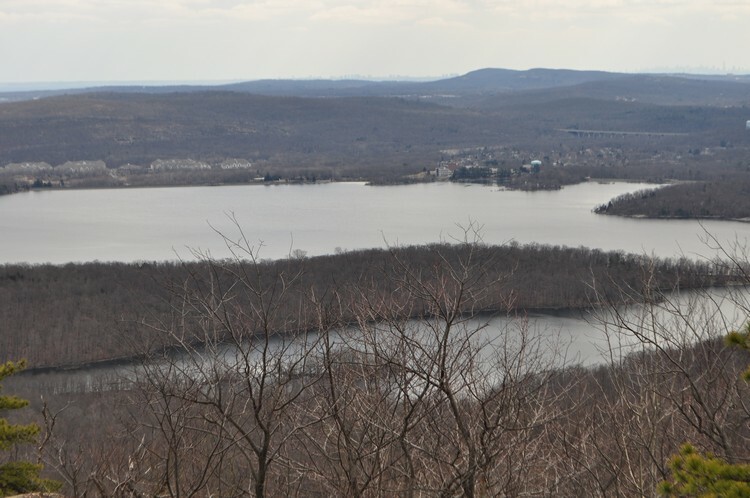 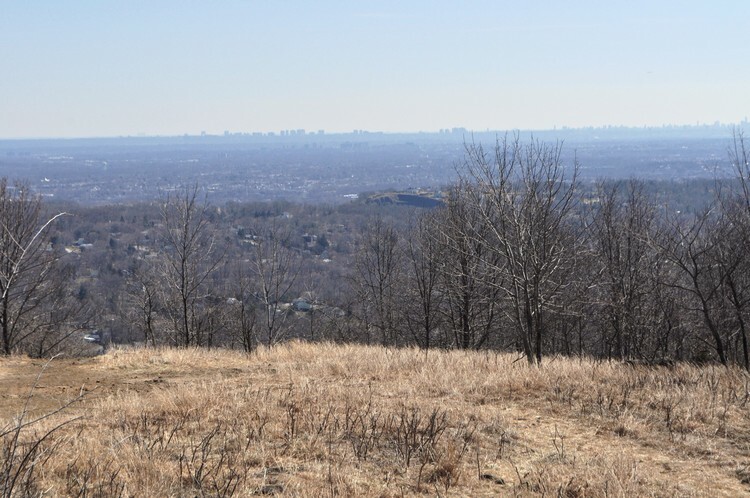 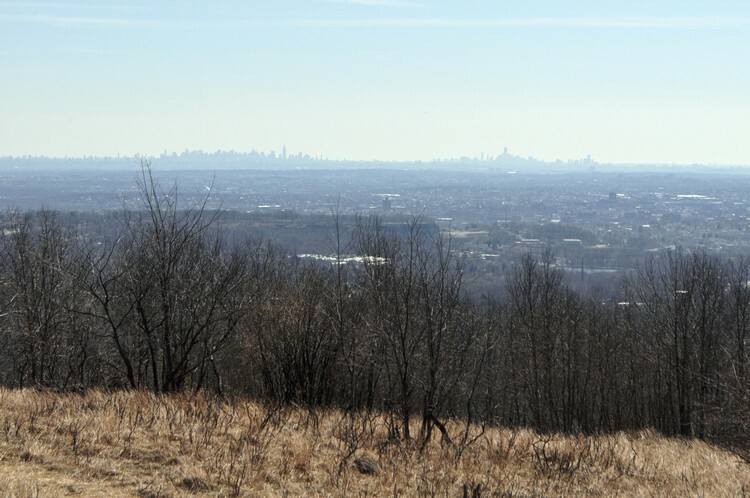 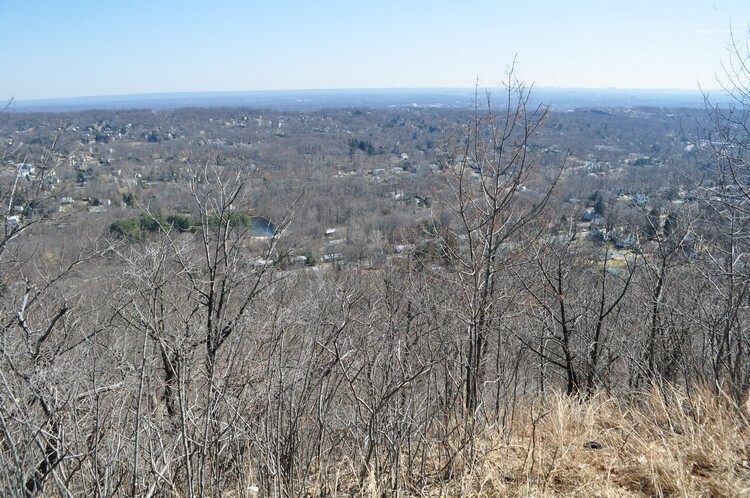 The summit view is spectacular, with a panorama on all sides, and an especially pretty view to the east facing the immense Wanaque Reservoir. The New York City Skyline was visible in the very far distance. From the summit I descended along the Wyanokie Circular Trail, which makes a U down as it descends, and then took the Mine Trail back to the Otter Hole Trail and then back to my car at the trailhead parking area. 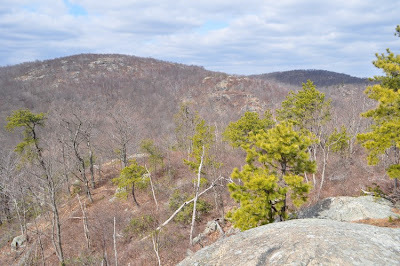 On the ascent of Wyanokie High Point. This mountain is across the valley facing west. 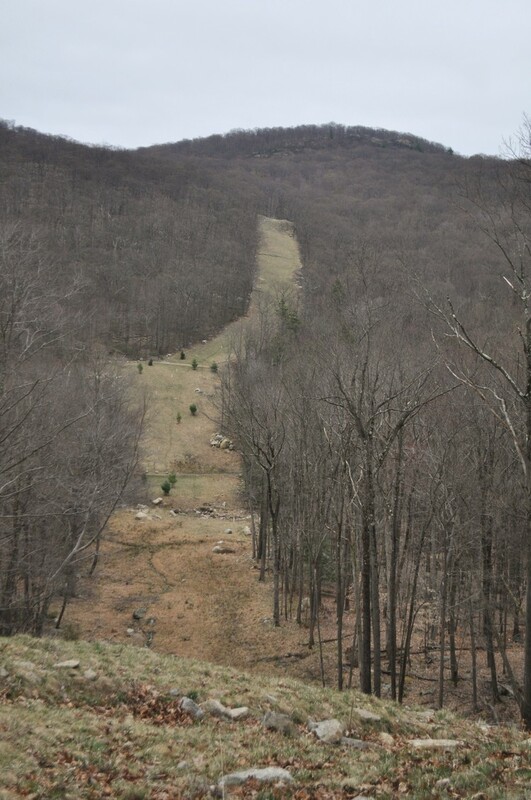 Another view of the same mountain above. 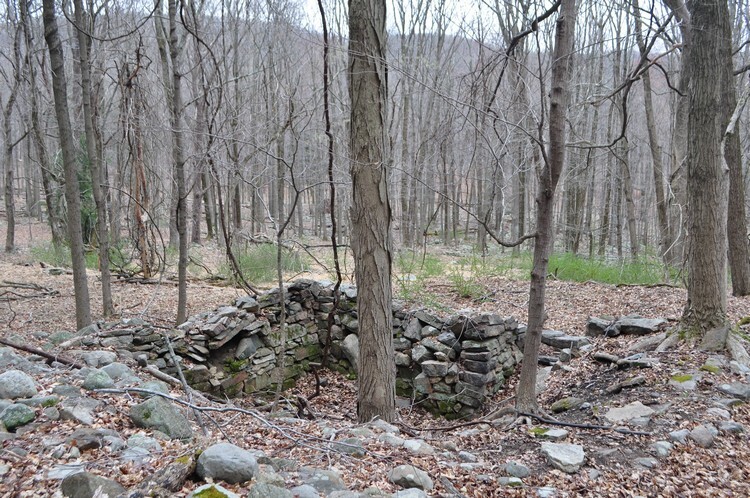 Facing southeast. 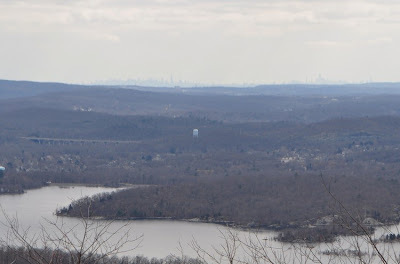 The Interstate 287 Bridge is visible in the distance. 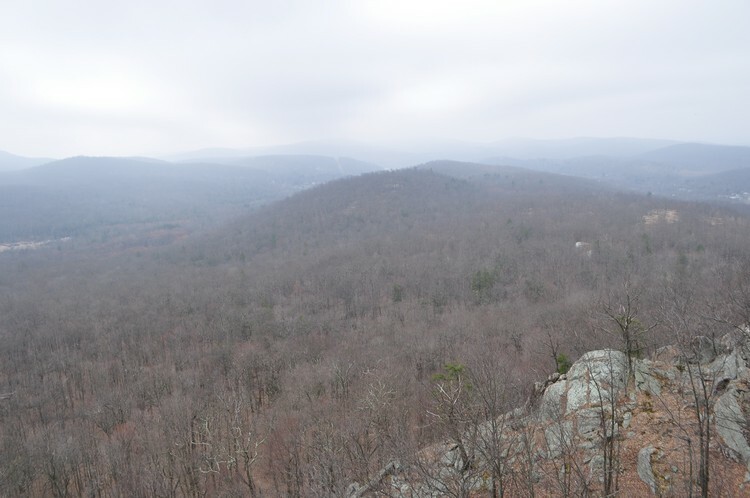 View from the summit facing north. 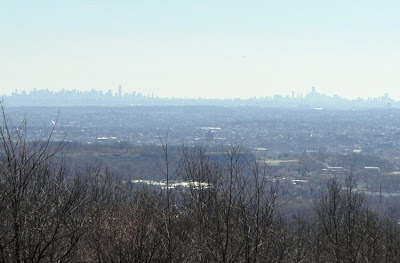 The NYC Skyline, facing east-southeast. 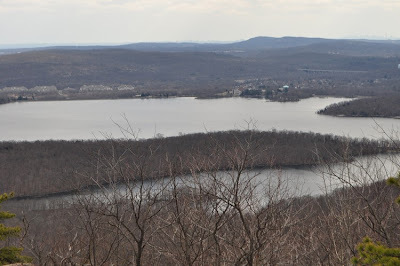 with the I-287 bridge behind to the left. Another view from the summit, facing northwest. 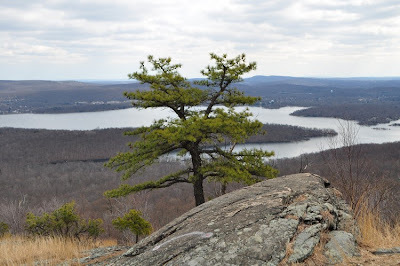 with an interesting pine tree in front of the Wanaque Reservoir.